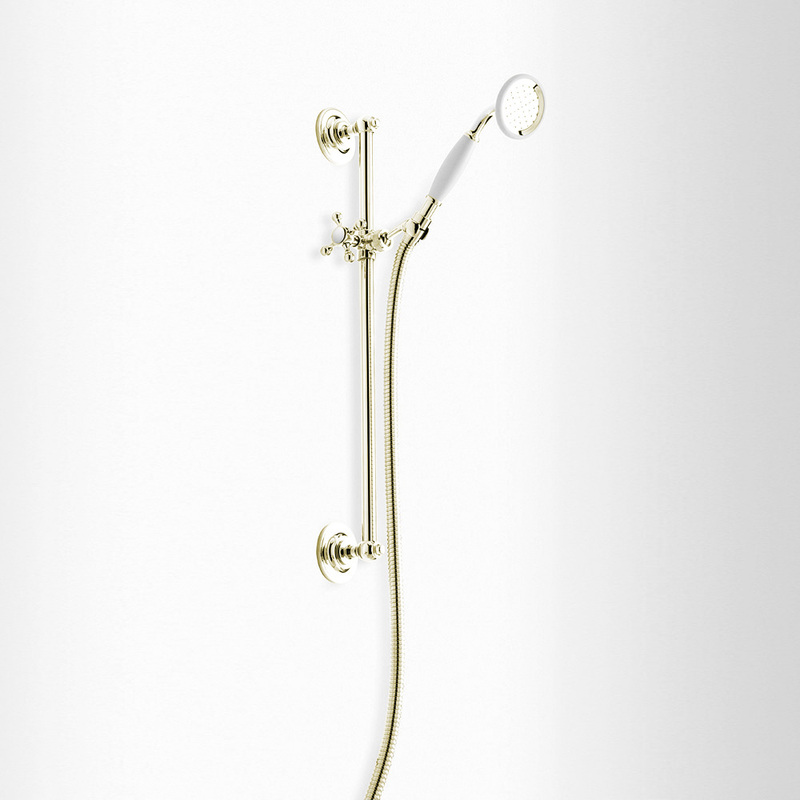 The Heritage Flexible Shower Slide Rail Kit is an elegant product that can turn your shower into a sleek and beautiful traditional space. 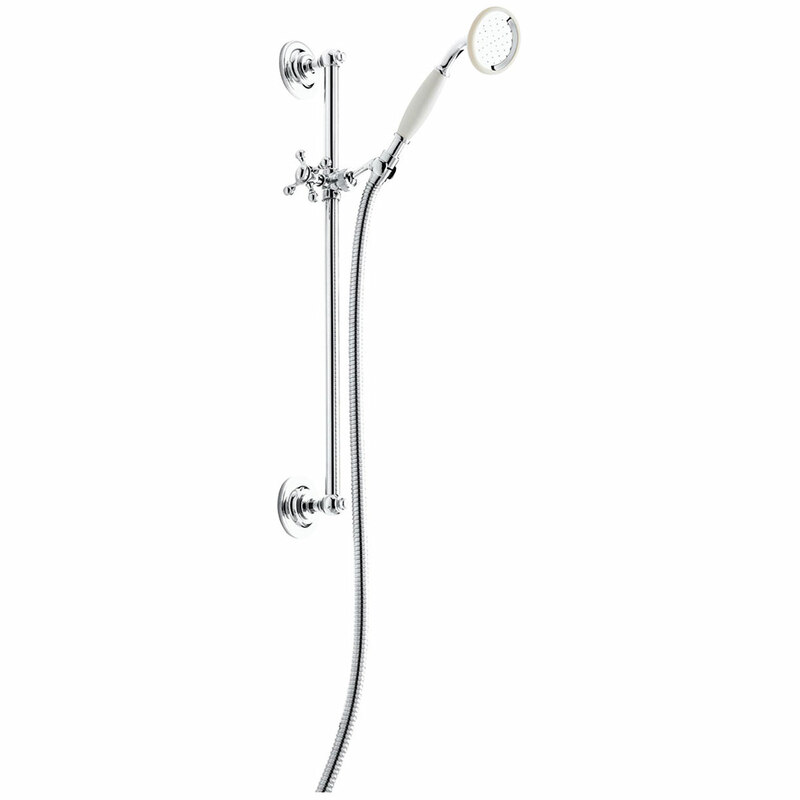 This kit includes a single mode handset that offers a powerful stream of water. It also comes with a side rail that the handset attaches onto. There is white detailing on both of these things as well as an ultra long and accommodating hose. 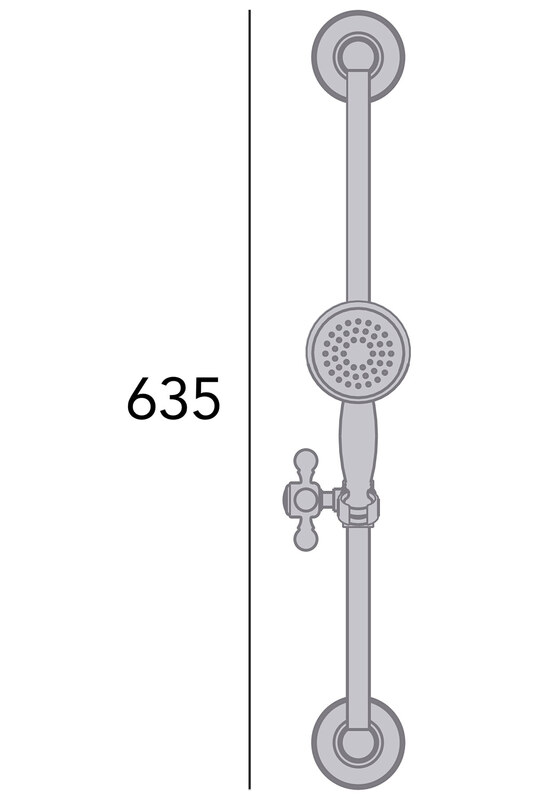 The rail measures 635 millimeters in height and can fit most showers. 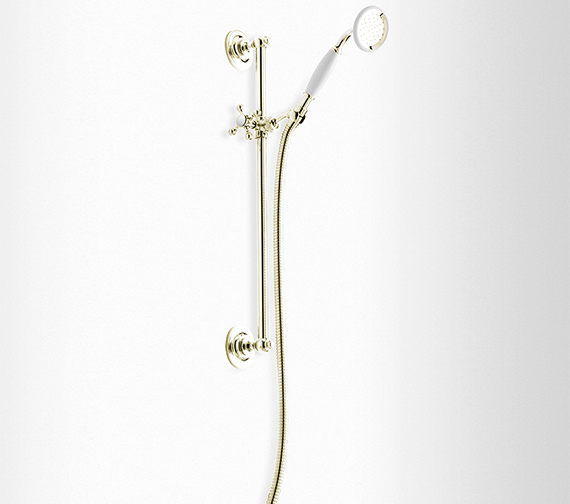 It has been given a beautiful chrome or vintage gold finish that adds modernism to any room.